Here's a design I made that you can finish. Click on it to get it and to complete. YES I took this fun idea from artisticbiscuit. Sweet colours. Not sure what to do with it yet. Think the one sleeve is to test us. So when you said this was initially going to be an anime outfit, you had me hooked since that is right up my alley! Then I thought, ' If it's an anime outfit why not use LeiaSayuri's anime model??' 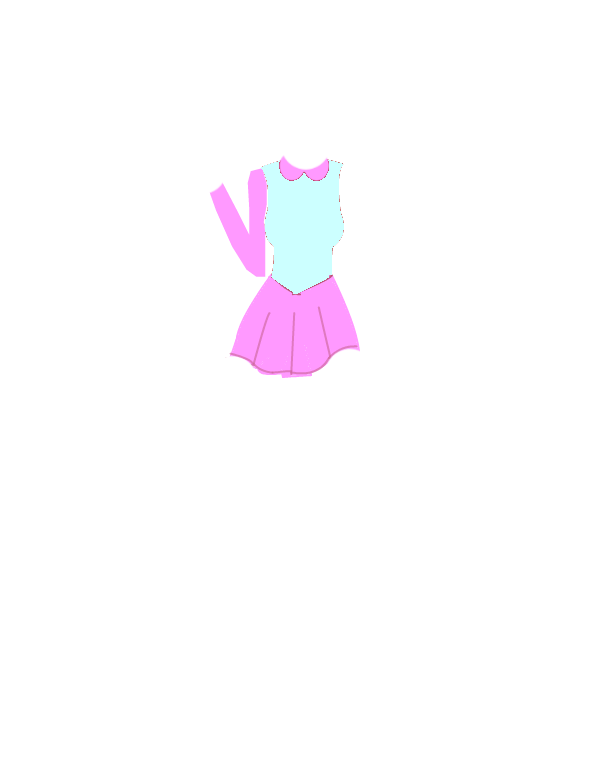 So I made the dress, stockings, and shoes for it. 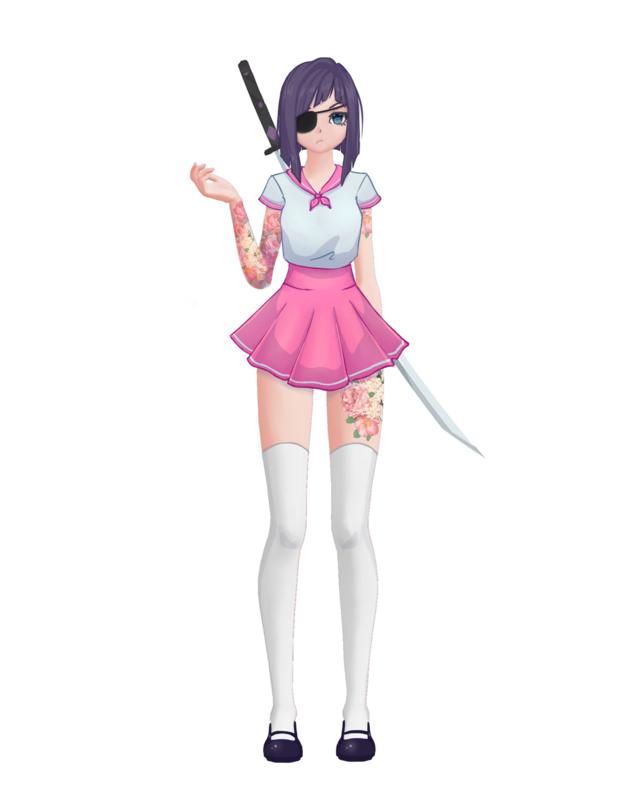 ...So I gave her a sweet haircut, an unamused face, an eye patch, and a katana... heh heh.. I KNOW! I went overboard. I stayed kind of true to the colour scheme and layout of the dress, but I still drifted extremely far from your original design.. I had a great time though! LOL the colours are so different. Not even the same bubblegum pink. Still amazingly creative though. @Starloft Omg that's so cool! @ArtisticBiscuit I knoow.. I tried my best to keep the colours similar, but it did NOT work haha. Had a little too much fun with them..
@Bbates Thank you!! Glad you like!